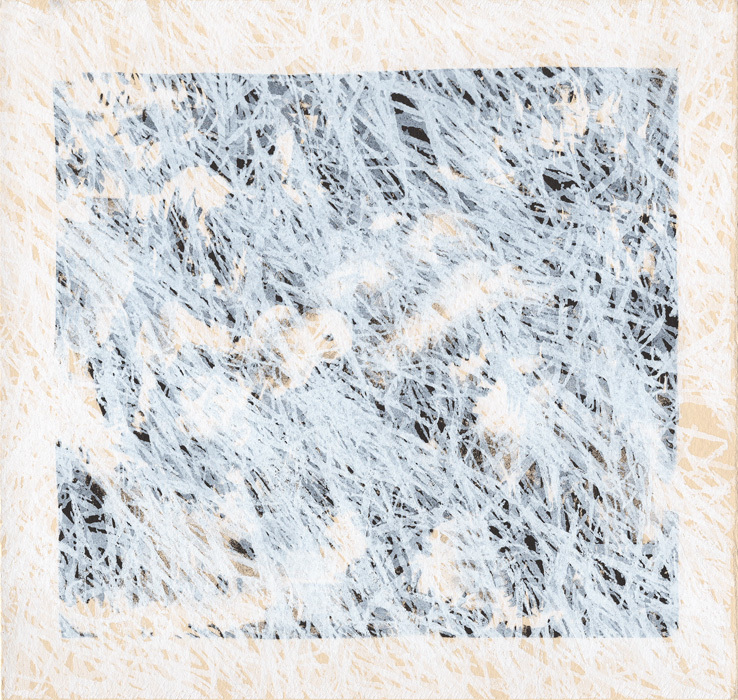 “Whitescape Study” (2015) lithograph and silkscreen, 6" x 8"
“Body as Landscape” (2013) lithograph, 22" x 18"
“Pile, 02” (2016), graphite, 25 1/2" x 22"
“Pile, Night, 03” (2017), ink, 8 1/2" x 11"
“Earth Study” (2017), watercolor, 12" x 11"
Many people from Argentina are still haunted by the Dirty War that raged through the 1970s and ’80s. “The military took over the government, and anyone who was a threat was abducted, tortured, got rid of,” said Daiana Oneto, an Argentinian-born artist whose abstractions of bodies in the landscape revisit the fate of the 30,000 “disappeared” victims of the Dirty War. 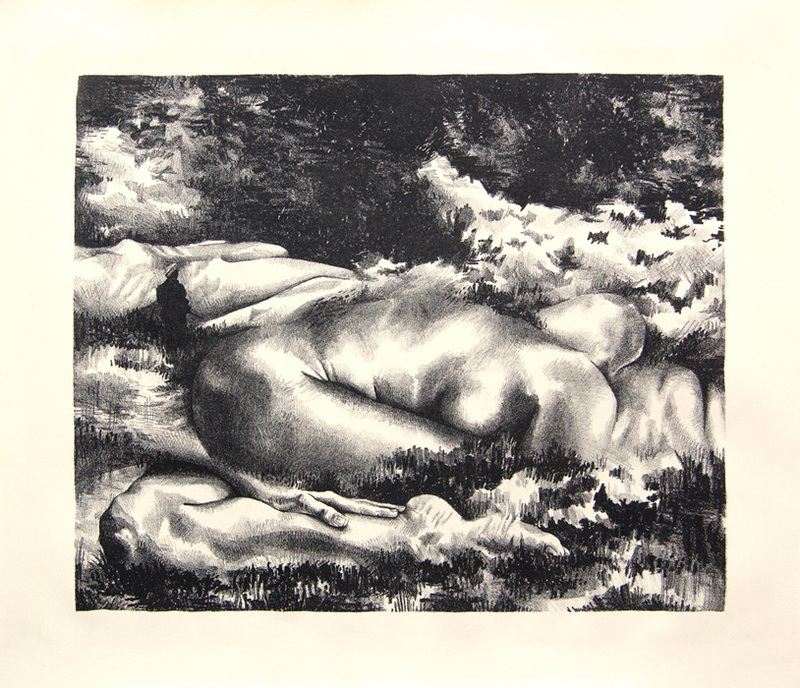 Oneto began her “Bodies as Landscape” series of lithographs in 2013, while a student at the Kansas City Art Institute. 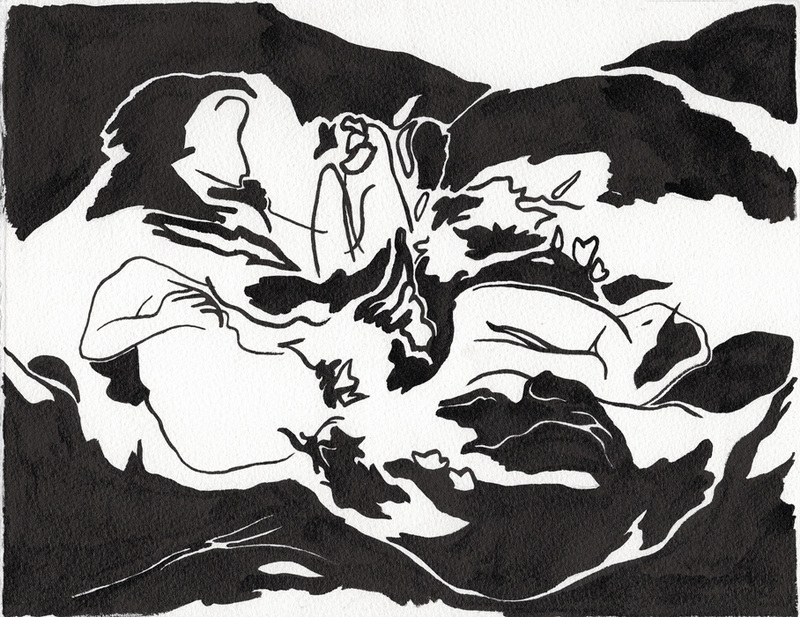 They’re chilling: Limbs and torsos merge with the earth, disappearing into furrows and vegetation. “KC Studio” contributing writer Neil Thrun labelled them “both sensual and terrifying,” in his review of the exhibit, “Banal Magic: Latin American Artists Transmute the Ordinary,” curated by Caroline Colby-Gonzalez at Four Chapter Gallery last summer. “The landscapes are not real,” Oneto explained during a recent studio visit. “They are based on photographs of mass genocides, reimagined and populated with limbs and bodies.” Knowing this, the relentless rhythms of these compositions become even more terrifying and sinister. The works speak, not just to Argentina’s Dirty War, but to mass genocides throughout history and the world today. Oneto, 25, was born in Buenos Aires a decade after the Dirty War ended, but her parents lived through it. Their fear of violent crime during the 1990s led them to move to Miami when Oneto was four years old. Oneto returns to Argentina on visits, but makes her home in Kansas City. After graduating from the Kansas City Art institute in 2015, she entered the Charlotte Street Foundation’s studio residency program and continued an active showing schedule, participating in exhibits at H&R Block Artspace, Leedy-Voulkos Art Center, Paragraph Gallery and others. At present, Oneto makes art in a studio in her apartment near the Art Institute and works as studio assistant to well-known Kansas City printmaker Laura Berman. Since leaving school, Oneto has been experimenting with collage, making photocopies of her lithographs and recombining them into new compositions. “Collage allows me to further fragment the body and compose ambiguous landscapes through a process of ripping, tearing, and reimagining,” she notes in her artist’s statement. Over the past several years, gesture has come to play an increasingly important role in Oneto’s work: In her “Whitescape” series (2015), a layered web of white lines obscures the bodies beneath. 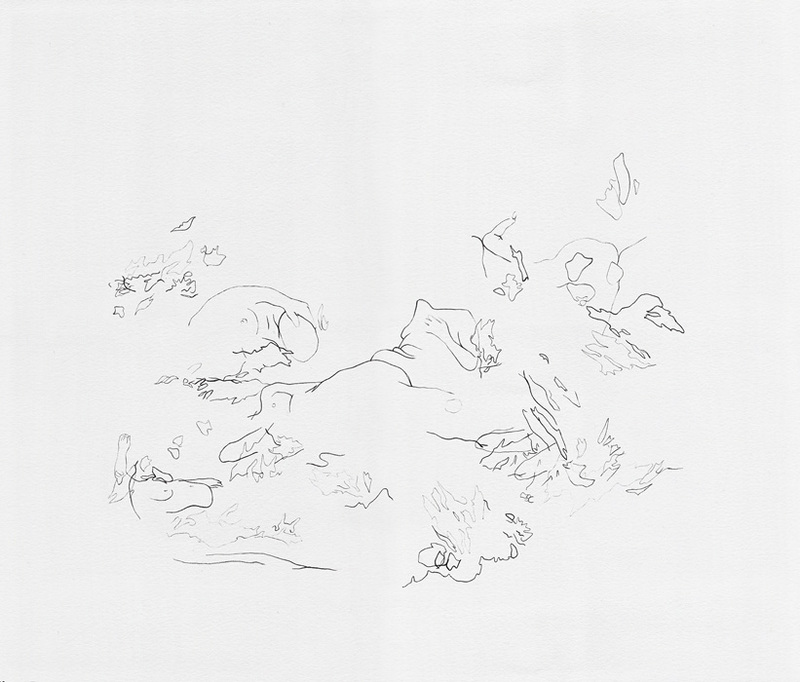 In looser, more abstract works such as “Pile 02” (2016), gestural lines of graphite evoke fragmented bodies floating in a void of white. 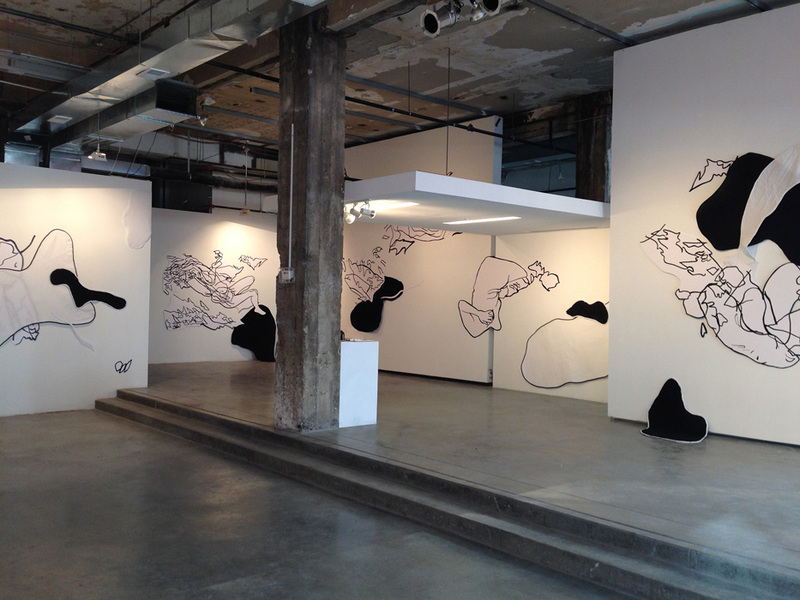 The same year she made “Pile 02,” Oneto took the concept large-scale in a collaborative installation with Kadie Nugent at Paragraph Gallery. 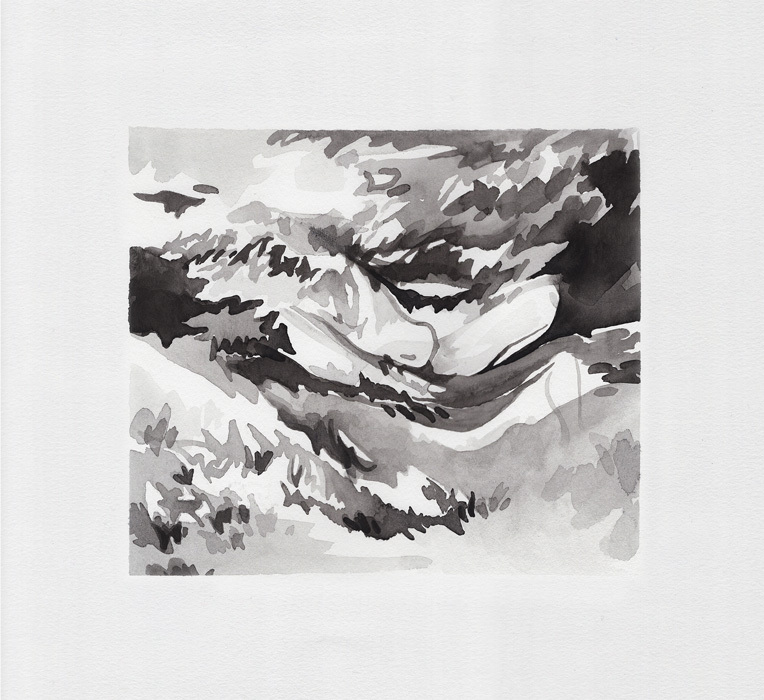 In her most recent works, Oneto has been experimenting with ink and watercolor, achieving a heightened immediacy by executing her undulating gestural marks directly on paper, unmediated by the printmaking process. And the tenor has changed somewhat. Whereas in earlier works, the bodies appear strewn and discarded, now they seem to nestle in the surrounding earth, finally finding peace.